It’s that time of the year again! Back to school season is just around the corner and we’re looking forward to all the excitement this time of year brings to the station. Whether you’re looking forward to opening the books up again or not, we have compiled a list of key essentials to ease you into the semester ahead. The best part is that these items can be found at the retailers in the station so if you just so happen to find yourself passing by the Front Street Promenade on your way to class, pop into to the following stores to grab all that you need to get you through the new school season! I don’t know about you but, I can’t truly start my day until I have some caffeine in my system. Whether that be in the form of coffee, espresso, cold brew, or tea, Pilot Coffee Roasters has you covered with a selection of caffeinated beverages to get you on your feet and ready to take on the day ahead. Calii Love is more than just a pretty, Instagrammable face – they serve a variety of inventive, nutritional dishes to keep you feeling full and energized all day long. From their grab & go options, to their customized bowls and wellness beverages, consider them your go-to for healthy eats this school year. With a mission to offer widespread, sustainable access to high-quality, plant-based nutrition, Greenhouse Juice is here to get you back on track this school year. Whether that is through one of their customized juice cleanses or just to grab a nutrient-dense smoothie on the go, Greenhouse is the place to go to stay well and mindful this semester. Whether you’re going away to school or staying in the city, there is no better way to represent your hometown than with stylish, Canadian-made gear from Peace Collective. 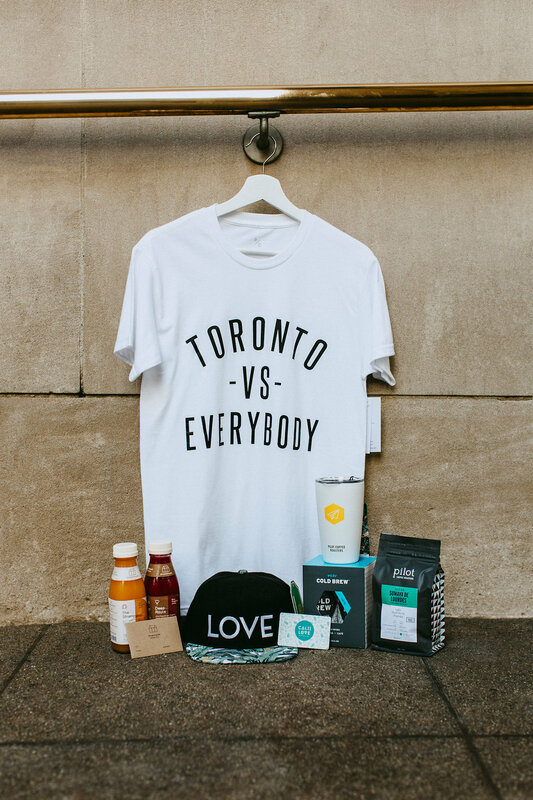 From their original Toronto vs. Everybody t-shirts to their unique fan merchandise and custom accessories, consider Peace Collective your one-stop shop for back to school! Want the chance to win a prize pack from all the brands mentioned above, valued at approximately $230? See our latest post on Instagram to find out how!